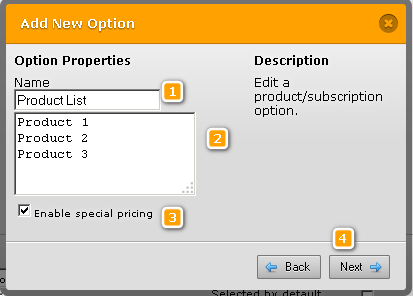 Does JotForm offer dropdown (16 products) with a quantity field next to it? Also, must Total with Paypal. I am hoping to get a specific design and want to know if Jotform will offer these features. We sell multiple products, so I'd like a product dropdown (with up to 16 items) with corresponding price for that item in the dropdown. 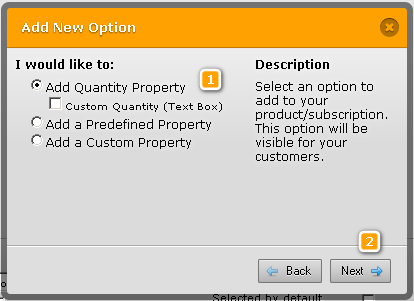 Next to this dropdown I would like a quantity feild for selecting multiple quantities of the same product. 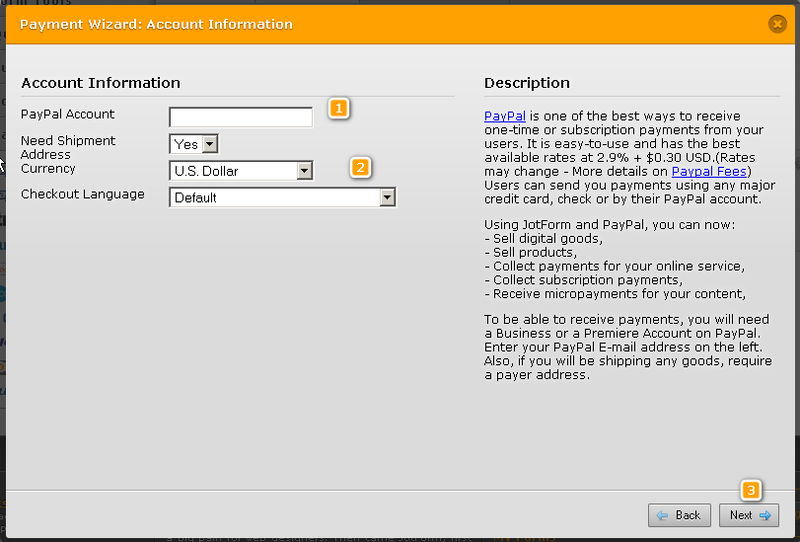 I also need paypal integration that will provide a Total price for all products and quantities that get selected. If your website will offer these I will buy. Please let me know what we can do. Hello Tommy. First of all, thank you for taking an interest on JotForm. Yes this is possible with JotForm. Follow the steps here. 3. 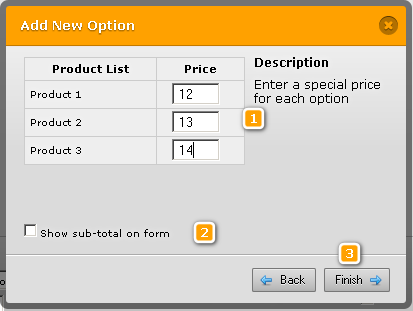 Here, choose "Users can select multiple products"
Make sure to tick "Show total on the form" to compute for total prices automatically and show it. 8. 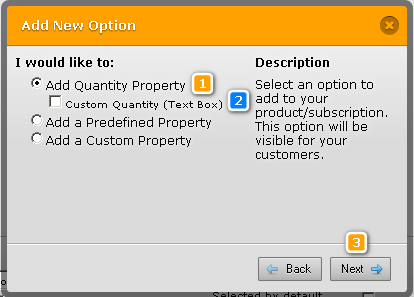 Choose "Add Quantity Property"
Optionally, you may want to just let your users to type any quantity on a textbox, if you want this, then check the "Custom Quantity(Text Box)". Otherwise, you can set your own set of quanitities on the next page. 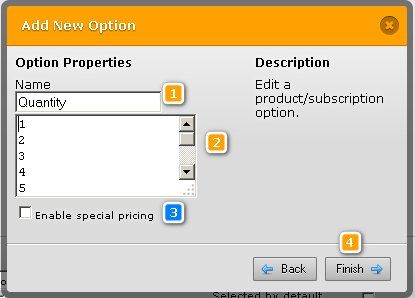 Optionally, you may choose to tick "Enable Special Pricing" checkbox. 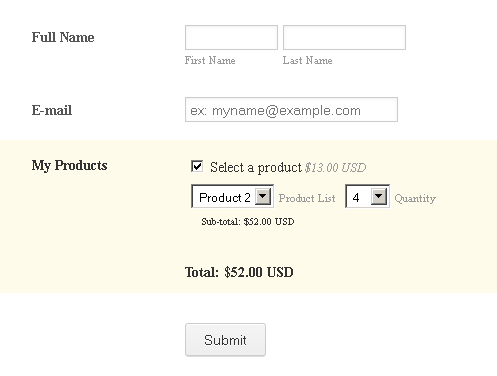 This will give you the ability to set separate price for each quantity you defined. Click Next. If you are done. 10. If in case you choose to enable special pricing for each quantity then you will see this page. 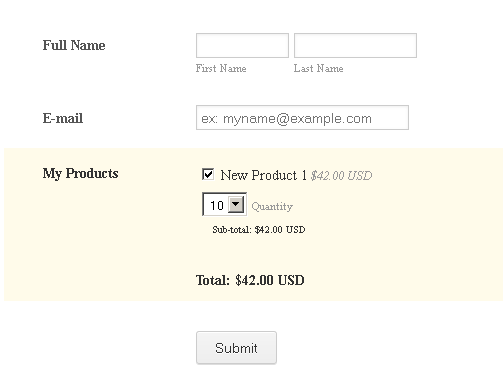 You may also enable the sub-total to be shown on the form. Click Finish button when you are done. 11.Save Product, and if you wish to create more products, you will just repeat the steps. Thank you so much for your response. This is very close and I started to build it but I have one more question. 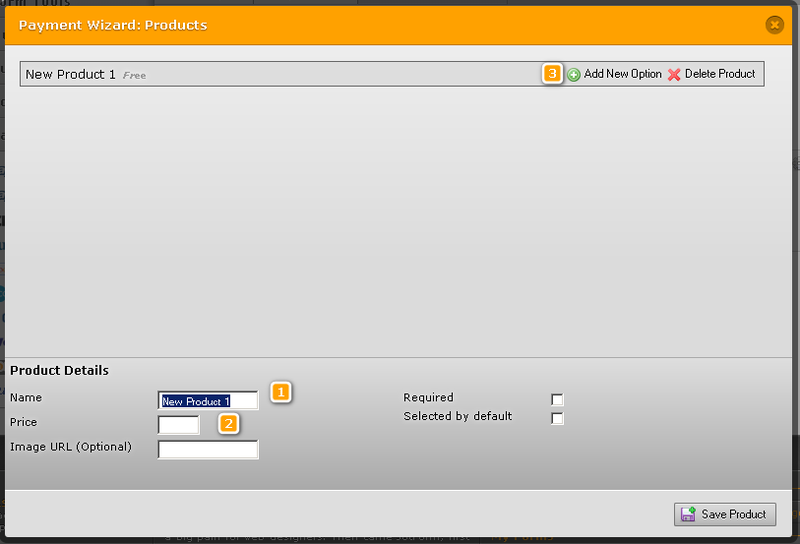 In your final look (last picture) it shows "New Product 1" with a checkbox. 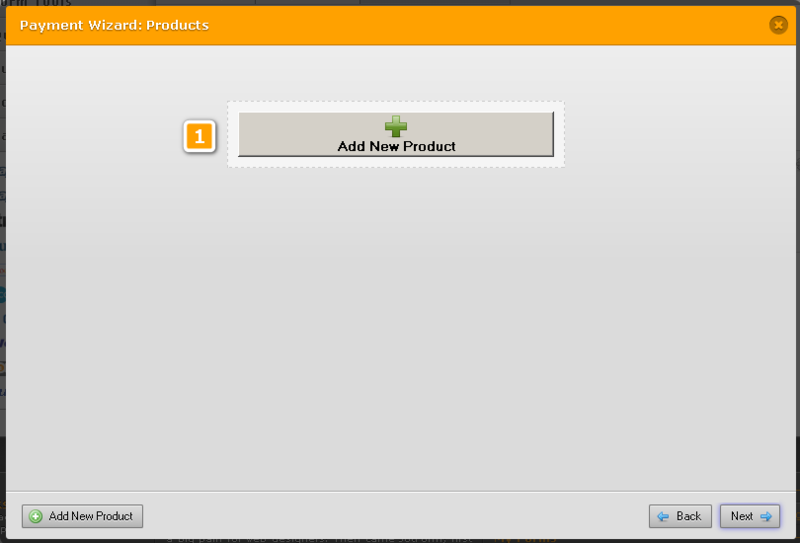 Is there a way instead of using a checkbox next to products to instead have a dropdown for selected the product from a list? Looking forward to your reponse. 1. 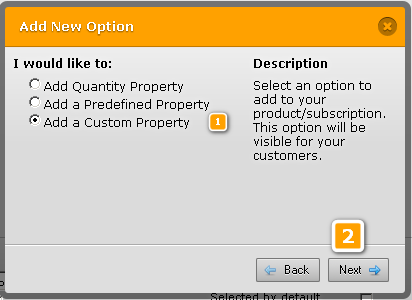 Revising the step 8, choose this instead "Add a Custom Property". 2. Set the label and define your Sub Products. In this kind of situation, special pricing is mandatory. Click Next when done. 3. Set your prices per each product. Enable sub-total on form if you wish. 5. 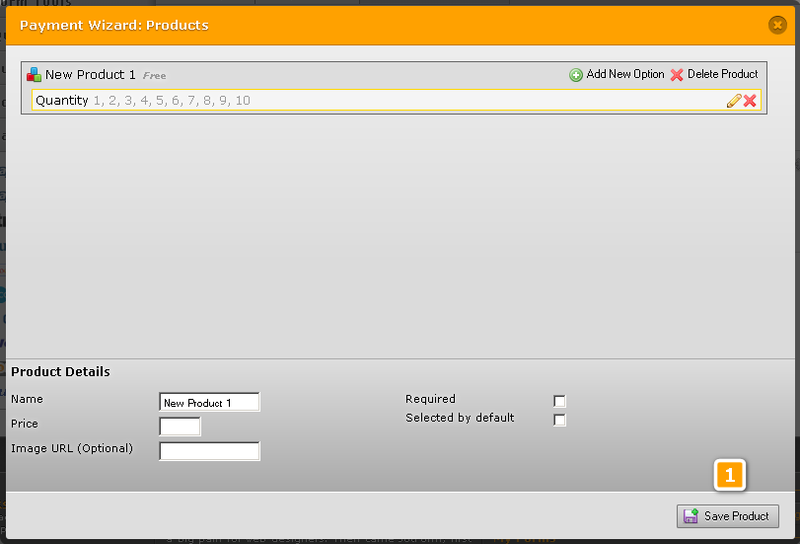 Just like before, set the Quantity label and your defined set of quantities. 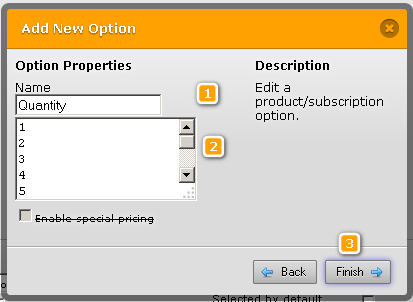 If you noticed that "Enable special pricing" is already disabled because you have enabled it on the first option on the sub products. The quantities will just multiply that special pricing. Thank you for you reply. I went and did it but that is not exactly what I'm looking for. 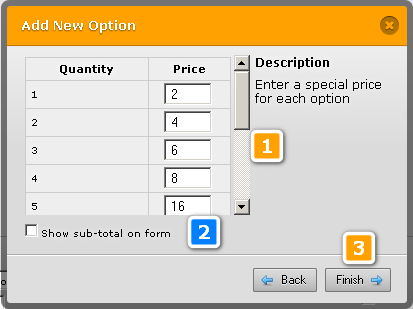 4 dropdowns windows, each containing the 16 different products with their unique price, with a quantity feild after each dropdown, and a total / paypal calculator at the bottom. Thank you so much for your help. I look forward to your reply. Hi Tommy, yes it has its own specific pricing. If you look at Step 3 on my last post, I did manage to set the custom pricing for each product before adding the quantities option. So there are 2 Options in which I added here. 1 for Sub Products labels & their special pricing and 1 for the quantities. You should set your base price to 0 from the main product settings. If you want to see this in action please see this demo form I have made for you. 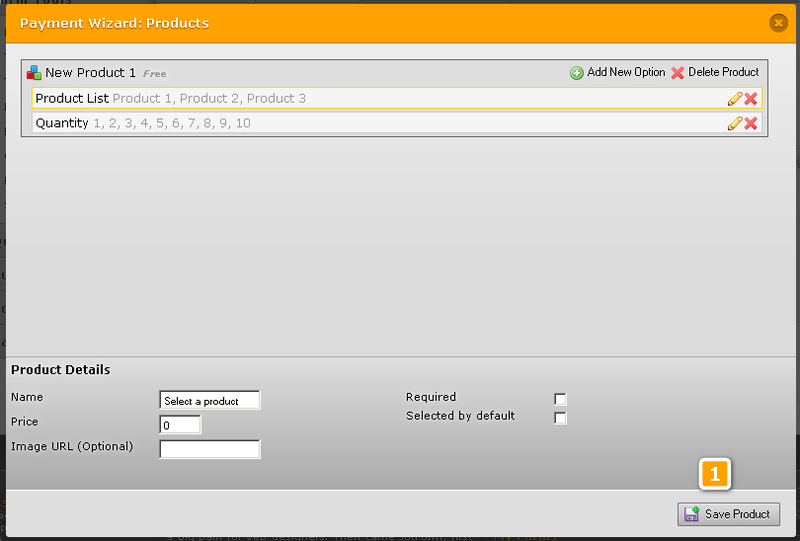 My only question now is how do I put a condition in place so that when a customer chooses a product that the additional product feild will appear and then if a product is chosein in the additional product feild a 2nd additional product feild will appear, and so on. 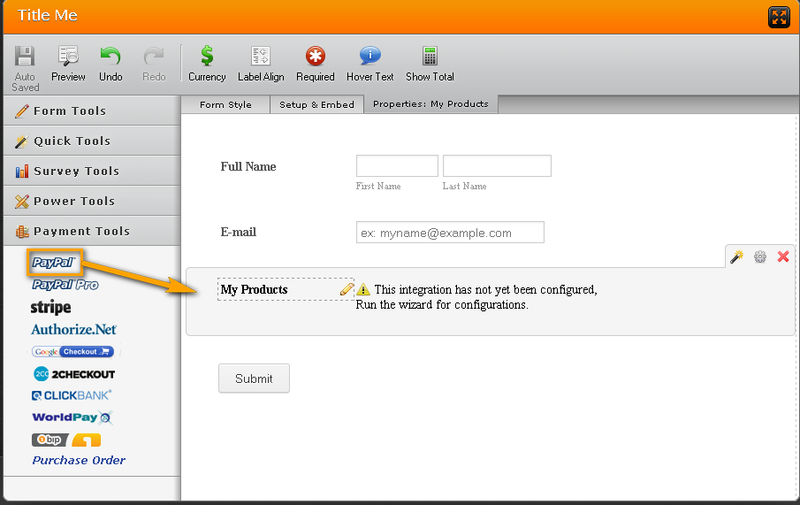 Do you know how to set conditions within the products? Thank you for your help. Looking forward to your response. While we have "Show/Hide form fields" conditions, it does not work on individual elements inside the Payment Integration. 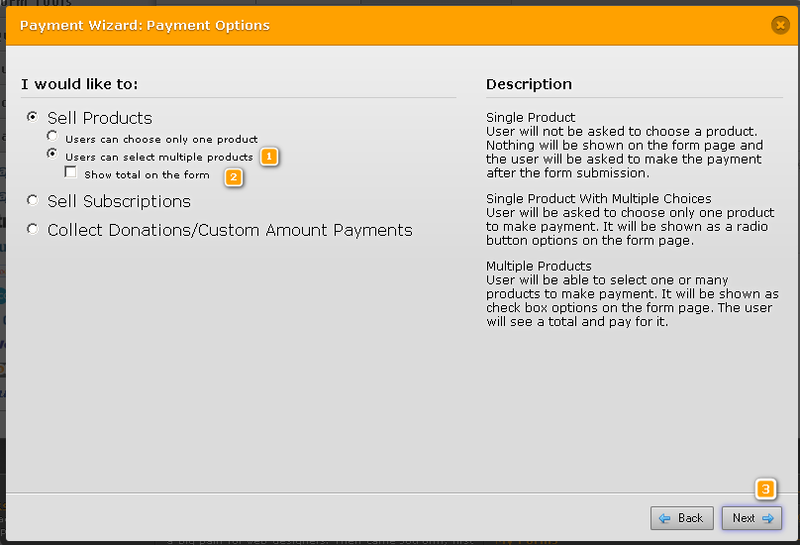 However, it does set rules based on your products to show or hide different fields or controls outside of the Payment Integration like the one shown on the image below.